1. The Americanization of Emily (1964) - This complex comedy-drama about a self-confessed "practicing coward" during World War II has about as many detractors as fans. That's not unusual with screenwriter Paddy Chayefsky's films from the 1960s and 1970s. Count me as a fan, thanks in large part to Garner's skillful performance as Naval officer Charlie Madison, whose flippant approach to the war creates conflict with the woman he loves (Julie Andrews). Ultimately, Charlie realizes the right thing to do--even if he's convinced to do something else. 2. The Children's Hour (1961) - I know many film buffs favor These Three (1936), William Wyler's earlier version of Lillian Hellman's stage play. But I much prefer Wyler's second attempt, which benefits from carefully-nuanced performances from Audrey Helpburn, Shirley MacLaine, and Garner. His role is strictly a supporting one as Audrey's lover. Still, contrast the scenes of Hepburn and Garner at the film's beginning with their poignant last scene together--it's a heartbreaking comparison, right down to the look of defeat on Garner's face. 3. Support Your Local Sheriff! (1969) - More than any other of his films, this Western comedy captures the spirit of Garner's hit TV series Maverick. Garner plays a stranger with a quick draw who cleans up a rowdy gold mine town in typically unconventional fashion. When one of the townsfolk asks why a man with such a fast gun isn't better known, Garner's character remarks (as only he can): "What would I want with a reputation? That's a good way to get yourself killed." 4. Murphy's Romance (1985) - Garner earned a Best Actor nomination as a small-town pharmacist in the twilight of his life who falls in love with a 33-year-old single mother (Sally Field). For me, it's a film that gets better with age, thanks mostly to how it charts the evolving relationship between Garner's and Field's characters. Some sources states that Marlon Brando was the front-runner for the male lead until Field and director Martin Ritt insisted on Garner. Yeah for them! 5. The Great Escape (1963) - In an ensemble piece where Steve McQueen gets many of the memorable scenes, Garner makes an impact as an American aviator who participates in a large-scale breakout from a German POW camp. As "the scrounger," Garner gets his share of amusing scenes. It was a breakout performance for the former TV star, whose previous roles were supporting in nature or as lead in modest efforts (e.g., the underrated Cash McCall). Honorable Mentions: The Thrill of It All (his first pairing with Doris Day); 36 Hours (a nifty Mission: Impossible thriller); Marlowe (an interesting take on Raymond Chandler's private eye); Victor Victoria (his "comeback" film after The Rockford Files ended); and They Only Kill Their Masters (a quirky small-town mystery). 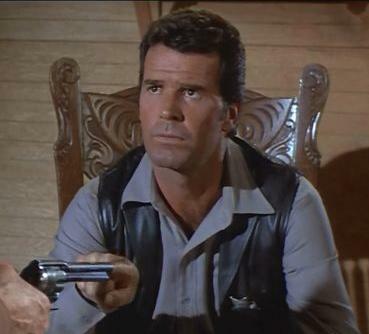 Okay, James Garner fans, what are your picks? He was actually really great in the later Maverick movie too... granted it was MUCH later in his career. 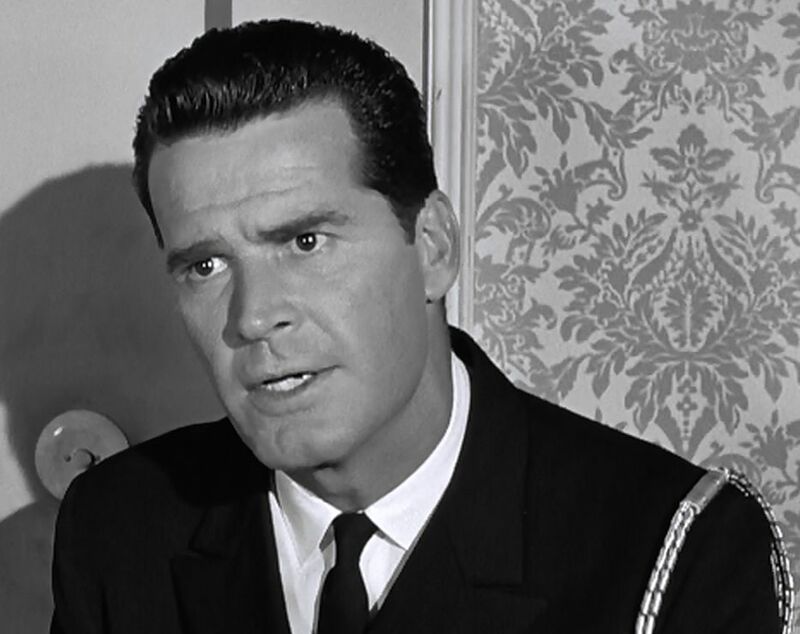 Rick, I definitely would place "The Americanization of Emily" at #1, as you did. The film may have some flaws, but Garner's performance doesn't, nor does Julie Andrews'--my favorite performance by both. I also thought "Support...Sheriff" and "The Great Escape" were good choices. Not thrilled by him in "The Children's Hour" and haven't seen "Murphy's Romance." I very much like him in two of your honorable mentions: as a rather tongue-in-cheek "Marlowe" and also "Cash McCall," which I agree is underrated. Overall, a very likable actor and my favorite roles of his are where this quality comes through strongest. You know Rick, I don't think I've ever seen MURPHY'S ROMANCE - but you make it sound like something I'd probably like. Adding it to my queue. Never even heard of 36 HOURS, going to check that one out as well. I never liked VICTOR/VICTORIA because I thought it was a kind of cop-out film. The scene in the bathroom where Garner finds out that Julie Andrews is a woman RUINS the film. He should not have found out until much later when his heart was involved. Would have made a much better film. But probably too daring for its time. This is an excellent list of a solid performer. I was delighted to see "The Thrill of It All" given honorable mention status. James and Doris ("I'm a pig. No, I'm a housewife!") are wonderful together. It is interesting to see the promotion of Happy Soap and makes for a fun comparison with "Champagne for Caesar" and Milady Soap, the soap that sanctifies. 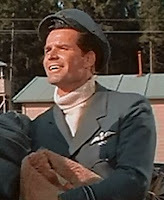 James Garner provides the voice for Commander Rourke, a character in "Atlantis: The Lost Empire". My daughter liked the animated feature when she was young. I watched it with her. When Garner's character turned out to be a villain I was shocked. I gave out with a "Noooooo! Not Jimbo!" My daughter laughs about that to this day. These days she's a confirmed Rockford fan and can somewhat understand my pain. Your list is a good one (and the order it is in). I loved the bravado of his performance in Larry Gelbart's adaptation of Barbarians at the Gate (TV). I always enjoy his turn in Space Cowboys too (humor over comedy). I am so glad you included "Murphy's Romance" (love it - a wonderful film) and gave honorable mention to "The Thrill of it All." I think Jimbo was wonderful with Doris - chemistry equal to that she had with Rock. I think Garner should have had a much bigger movie career. He was one of the best Rom com actors of the 50s & 60s. Sadly, he didn't get a real shot at lead roles until after Maverick started and by the early 70s he was back on TV. That said, I liked "Great Escape" and "Marlowe" along with "36 Hours" and his Doris Day movies. I like James Garner best in one of his lesser known movies, "Twilight" (1998) - a Robert Benton neo-noir with Paul Newman, Gene Hackman, Susan Sarandon, Reese Witherspoon, Stockard Channing, Liev Schreiber - in which Garner portrays a darker-than-usual character. I also like him very much in "The Thrill of it All" with Doris Day - he and she had wonderful onscreen chemistry and the film is a great bit of early '60s fluff (with more than a hint of satire). Other than my beloved THE GREAT ESCAPE, I'm more of a champion of your "Honorable Mentions" list, to which I'd add a couple of fun 60s spy thrillers, A MAN COULD GET KILLED and THE PINK JUNGLE, plus the flawed but interesting western DUEL AT DIABLO. My grandmother was completely in love with James Garner - she never EVER missed an episode of "The Rockford Files" back in the day. I, too, am glad to see you included "Murphy's Romance" on this list - such a lovely movie. The one Garner performance I have never cared for was in "The Children's Hour", and it's probably because I'm not a huge fan of this film, despite the impressive acting. Enjoyed all the comments (though obviously, I'm a fan of THE CHILDREN'S HOUR). I agree that THE THRILL OF IT ALL is a delightful comedy and also a keen satire on television. I just watched DUEL AT AT DIABLO and also agree that, despite its flaws, it holds interest (plus Garner and Poitier play off each other well). Nice to see that MURPHY'S ROMANCE has its share of fans. Wish it were shown more often. Love all the films listed,Like the Lady Eve I really like Twilight,and Jim's two different riffs on the same person in Hour of The Gun, and Sunset. They Only Kill Their Masters is pretty good too. Second the last comment about his two Wyatt Earp films. SUNSET, with Bruce Willis as Tom Mix, is especially fun. As much of a fan I am of Garner's movies, especially his "Support Your Local Sheriff/Gunfighter," I think his best performance is Rockford. It has been too long since I have seen Garner's favorite TV series, "Nichols." Just picked up the first season of Maverick which I have been looking forward to seeing for ages. I think he will always be remembered more for his TV career than his film career. I remember seeing him on some talk show in which he said wistfully that he had expected that The Great Escape would push him into the Class A actor list but that McQueen's performance just blew everyone away and that he became the big star instead of Garner. Marlowe and 36 Hours are probably my 2 fave Garner movies. I admit I came here to see if you participated in the What a Character Blogathon but got completely sidetracked by this post. LOVED IT! Charming, self effacing but always authentic, you captured the essence of the man in his best performances. My favorite isn't listed though -- Sunset, with Bruce Willis. And I agree Cash McCall is underrated. My grandmother and I both fell in love with him watching Murphy's Romance. Is there another actor with such multi-generational appeal? I loved James Garner in "Mister Buddwing". I had no idea where the story was going or how it was going to end. It was dreamy, perplexing and gripping. Mr. Garner was sheer perfection!